I’ve mentioned before that now that I have a drum roaster, I can roast more beans than I could possibly drink. One way to increase the ‘volume’ of home roasting is to figure out a way to drink my home-roast at work. I’ve tried to brew at work but thats a hassle and its a little more pretentsious than I like to be. Plus I usually drink coffee because I want to get away from my office – so I make a trip to Starbucks with my laptop. I got this vision of developping a concentrate based drink that I could make and then go to a park to work. For my roasting schedule, we flip back and forth between traditional french press coffee and espresso. I love espresso but there just seems to be a lot more romance in a micro-lot of beans from Sweet Maria’s that I don’t find in an espresso blend. So I roast ‘coffee’ for about a month or so and then roast ‘espresso’ for the next month. I figure at the end of my coffee cycle I could take the ‘coffee roast’ and turn it into concentrate. Then I’d sorta have both coffee and espresso available. ‘Intellectually’ the idea was compelling. However I had no idea what coffee concentrate was. My google Kung-fu got me several recipes which basically went along the lines of making french press coffee with cold water and then wait 24 hours. The problem with recipes that include “and wait 24 hours” is that 24 hours later I’m doing some other project. And I don’t have a huge inventory of roasted beans, I try to keep everything fresh. I can’t just grind away beans or I’ll be drinking Tea in the morning (bleah). My ability to run repeated experiments causes this simple experiment to take several months because of these roadblocks. Experiment #1: My first concentrate recipe I found was about a cup of beans + 4 cups of water. Which is just about my normal french press recipe (should have been my first sign). I made the concoction and stuck it in my fridge. The next day I plunged it and tried some — Yum, water with a slight coffee taste! Experiment #2: I identified the problem, I stuck the coffee in the fridge – the recipe called for setting out at room tempeture. Repeated the experiment, plunged it. Yum, water with a slight coffee taste! Experiment #3: I knew I was doing something wrong, beans + water + some function = concentrate. I came across a recipe that gave more detailed instructions (probabably because I actually read them this time). 1 ounce of beans to 4 ounces of water. I whipped out my kitchen scale. Measuring by weight indicated I was way way low on beans – I was only using 1/3 of the beans I needed. I reran the experiment with 1/4 pound of beans and 2 cups of water. After waiting the perscribed 24 hours I plunged. A drinkable product came out! I made myself a cup and went to work. I came home and wanted to make a second drink to validate my findings. Unfortunately my wife spilled my container – it was all gone. If you ask her, I left the bottle out and didn’t put the lid on properly — so don’t ask her. Experiment #4: 1/2 pound of beans:4 cups water. Wow, thats a lot of beans, the grinds fill up half of my large press, I wasn’t sure the water would fit. But now I have a decent amount of concentrate to experiment with. I still have much experimentation to do on this and it will be slower going than I thought. There is about a week or two of time between each experiment. But I think I have a framework now to work with. I need to figure out the right ratio to “rehydrate” my concentrate and what the best way to serve this product. It seems to be a product that needs sugar, like a sweet ice coffee, but maybe thats because I was craving sugar at the time. #1: You want a professional quality gun in order to get consistent high heat. #2, Light weight will make roasting more enjoyable. I believe my first gun was a Wagner HT1000, although mine was black (sorry Wagner if it wasn’t you). Whatever model it was, the big-boxes carried 2-3 types of heat guns. The “cheap one”, a “digital one”, and maybe a third similar gun with another feature. The best thing I can say about the in-store guns is they are cheap. As I was on a tight budget this was a compelling feature. The gun “worked” for roasting but it wasn’t very powerful. You’ll be happier if you skip these low power guns and get a “real” gun. I purchased a Makita HG 1100 in August 2005 from Amazon. I loved the increased power and was finally able to get the performance that I wanted. After about 2 years the blue plastic near the output began to melt. Maybe I was resting the gun while I was roasting and eventually distorted the gun? Whatever the case, smoking and burning plastics is probably a sign that it was time to get a new gun. Perhaps plastic wasn’t the right material for a heat gun? So I found a Wagner that was all metal. However, After 7 months the gun stopped working. I spoke to customer service and it turns out that roasting is not the intended use for the gun and therefore not necessarily covered under the warranty. Roasting requires the gun to be used for 20+ minutes at a time, multiple times a week, The normal use of the gun isn’t nearly as intense. So I went on bought another gun. And as the way things work, shortly after I bought my new gun, Wagner shipped me a brand new gun! My 4th gun, purchased in 2008, was a Milwaukee. Yep, went back to plastic. I couldnt’ find another metel one that looked good and Milwaukee seemed like a good brand. I didn’t realize it at the time, but the all metel Wagner weighed a ton! When you are holding the gun for 20 minutes with one arm and stirring with the other, lighter weight is a nice feature. This gun is still in great shape – even though I leave it outside. One of the challenges I’m working on with my drum roaster is accurately predicting the roast level. I spent years doing dog bowl roasting. Turns out I was doing my roast evaluation based on a visual inspection. I could hear the crack, but I really was watching the beans. With my drum roaster, the magic is done in secret behind the stainless steel lid of the grill. I’ve lost my ability to do a visual evaluation. Even when I peak, the drum itself obscures the view of the beans. It can be frustrating — I’m experimenting with larger batch sizes. I hate tossing $20 worth of beans in the trash because I messed up. With the larger batch size, it seems that the right amount if heat is critical. I tried to raise the average heat to 550 and I ended up with some beans blacker than coal and most beans barely roasted to light cinnamon shade. When I carefully monitored heat and kept it at 500, I was able to get a consistent roast. The other ‘fun’ thing that occurred now that I have to rely more on sound is my last roast came out much darker than ever before. Usually the beans come out as a deep dark brown, but this time they came out black. This roast level makes an awesome strong Capp. The espresso now cuts straight through the milk and lets you taste the espresso. Yum. So much so that people that prefer “expresso” drinks didn’t really like the taste — they had to add a lot more sugar. The method of roasting I recommend to my friends is dog bowl roasting. I produce (usually) good coffee in about 15-20 minutes. 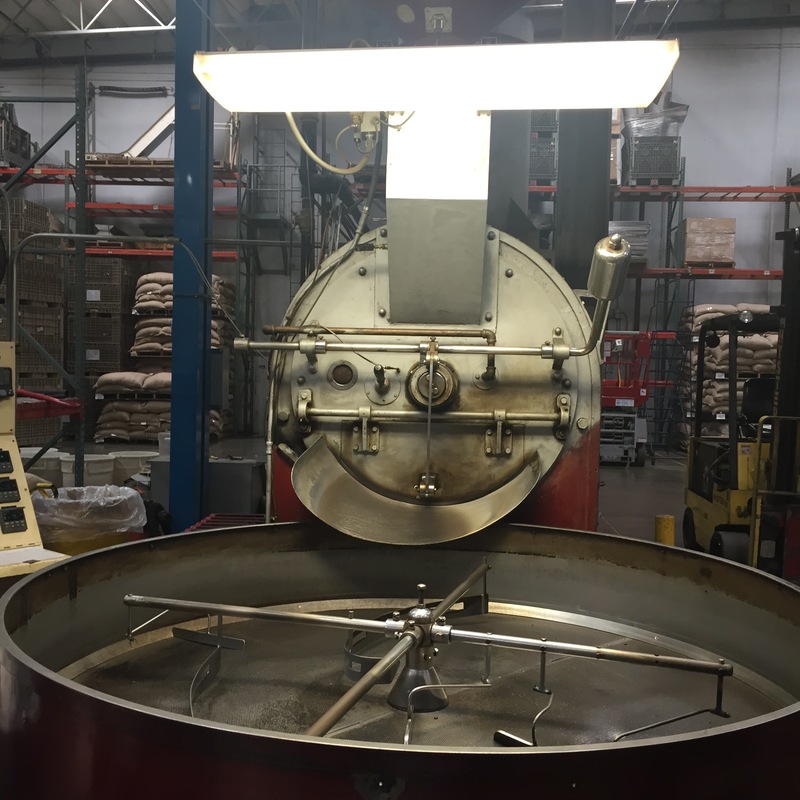 Since you are right in the action, you see how the roasting process works. Best of all this is a cheap entry into roasting as you already have most of the equipment needed in your kitchen and garage. You need a heat gun capable of reaching 400-500 degrees, a stainless steel bowl (traditionalist will want to use a dog bowl), a long wooden spoon (a plastic spoon will melt and a metal spoon will get too hot), a way to dissipate heat (I use a fan and colander), and 1-2 cups of beans. Pour the beans into the bowl. Turn the gun on and hold it 1/2 to 1 inch from the beans. Then stir and stir and stir….. 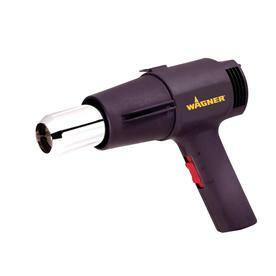 I have a friend that stirs with the nose of his heat gun though I’ve never attempted that so your mileage may very. Be careful not to burn the beans. If you hold the heat directly on a bean for too long it will burn. Depending on the power of your gun, the type of beans, and the quantity you are roasting, roasting will take 15-25 minutes. If you make a dark roast, your beans will progress through two “cracks”. First crack is usually easy to identify -because it’s first. :-). Second crack can be a bit trickier. It occurs closely behind first crack and sometimes even occurs while some beans are still in first. First crack tends to be more “snappy” like a finger snap or a dry twig snap. Second crack is softer, more like wrapping paper crackling and a lot of smoke. After a few roasts you’ll have a good understanding of the different cracks. The final step is cooling. Dump the beans in the colander (careful as the bowl and beans will be very hot). Set the fan upside down with the air flow going up. Put the colander over the fan and stir. If you don’t have a fan, spread the roasted beans on a large cookie sheet and stir. You need to dissipate the heat or the beans will “bake”.